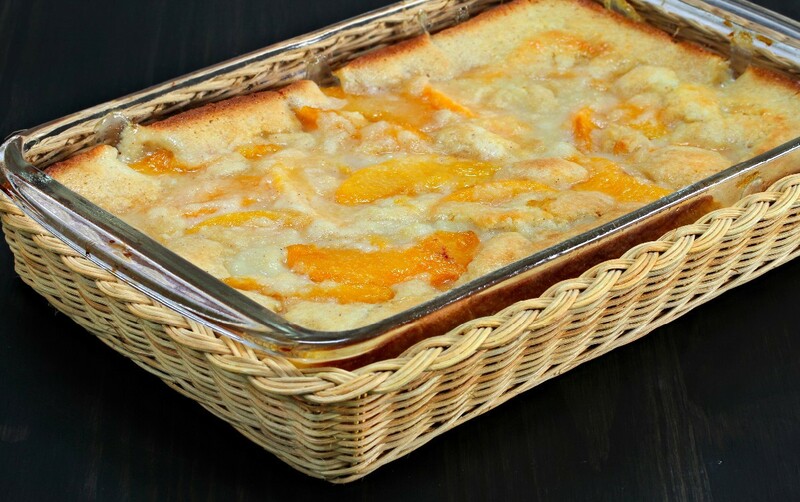 Just because you have to avoid gluten in your diet does not mean you can't enjoy some delicious peach cobbler. 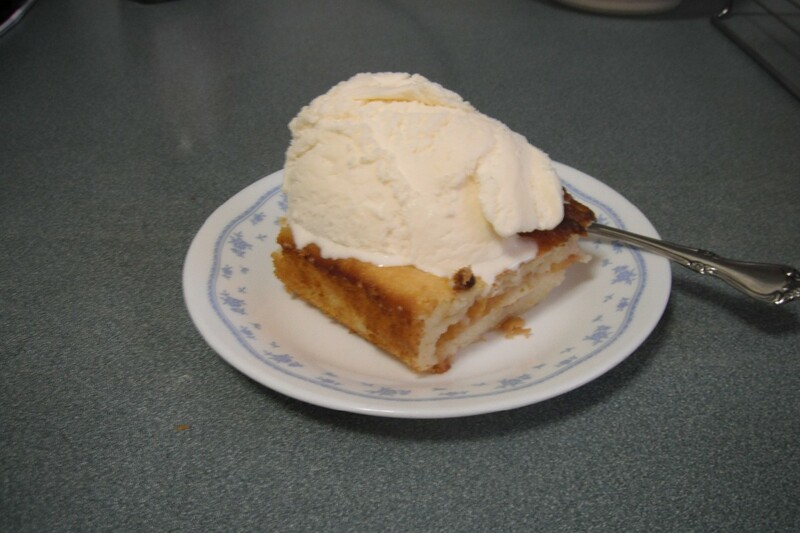 This page contains gluten free peach cobbler recipes. 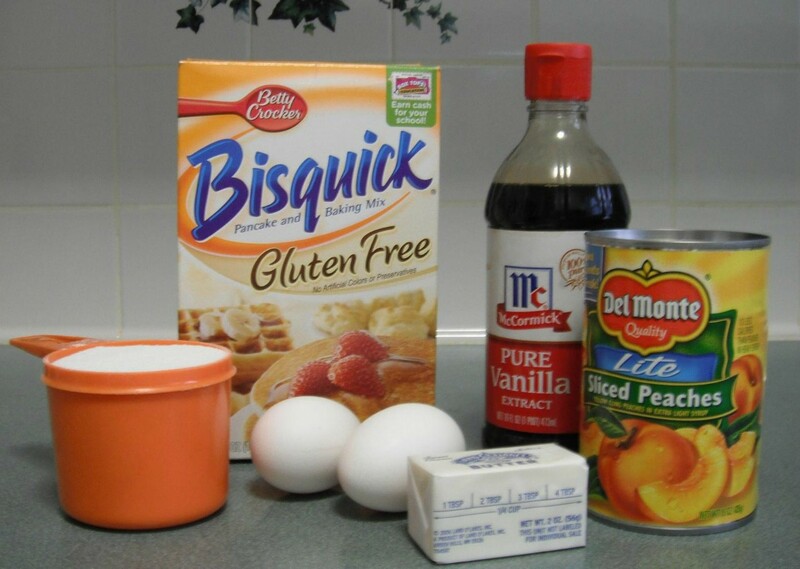 I experimented making a gluten free Peach cobbler by using gluten free bisquick. It turned out irresistible. I tasted it when it came out of the oven and couldn't keep my spoon out of it while cooking dinner. After dinner, I just had to have another piece. My husband wanted a second helping also. He said all it needed was a scoop of ice cream on top. When we started doing the dishes, he looked at what was left of the peach cobbler and asked me, "Did you eat that much?" I couldn't deny it. Place butter in 8x8 inch Pyrex dish. Place in oven to melt. Drain juice from the peaches. Mix eggs, sugar and vanilla together. Add peach juice and mix. Add bisquick and mix well. Pour the batter into hot melted butter. Drop spoonfuls of peaches evenly onto the batter. Bake 35 minutes or until golden brown. Serve with vanilla ice cream while warm. Enjoy! 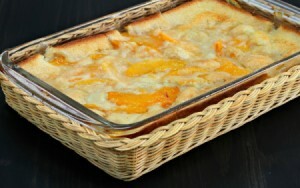 Peach cobbler cobbler can be enjoyed year round if you use frozen peaches. 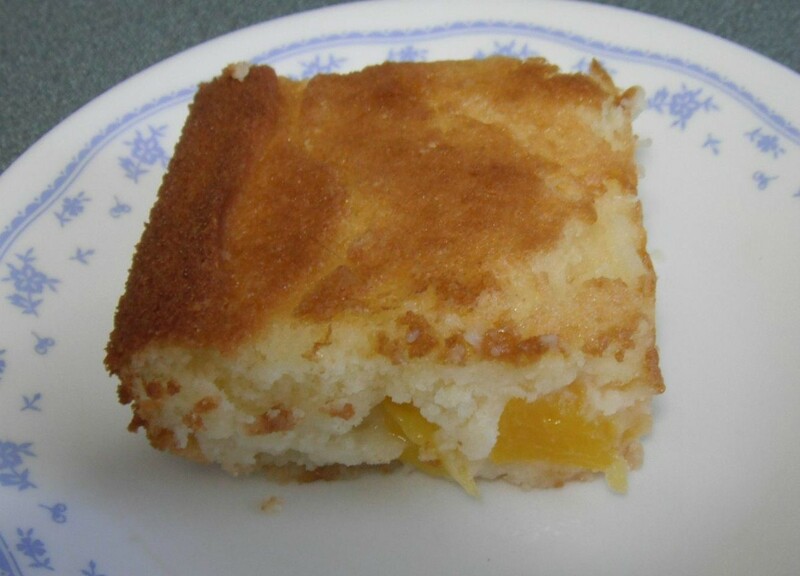 This page contains gluten free cobbler using frozen peaches.